Here you are in your business. You’ve got the value equation right. You’ve made it predictable, repeatable, and replenishable. Now, this is where your leadership comes in. Your leadership is like the center of gravity in the middle. You’re adding that energy that allows you to really push those lines, push into the outer ring in order to generate wealth. When you push out into the outer ring, that’s when your real role is to work yourself out of a job. Your role is to delegate, automate, and outsource each area of your business and you are in step 3 — the Scalability phase. Now, you want to delegate, automate, and outsource your marketing. Delegate, automate, and outsource your sales and your fulfillment and so on. At this point, this is when you’re going to actually start to see wealth. Most often entrepreneurs think this because they actually don’t know what “special fairy dust” is actually making their business work — so therefore they don’t know how to delegate it, automate it, or outsource it. They don’t fully understand their systems and their processes. Because if they did understand it they’d be able to explain it to someone else and that person would be able to do it. Since they don’t understand it, they generalize the outcome that they want and request that of someone who has a different understanding of that outcome than they do (and often it’s someone who lacks some of the natural capabilities of the entrepreneur) so they can’t reproduce the outcome. But, if they did fully understand what it was that they were doing that produces that outcome specifically then they could hire for, train, and measure performance of other people against that outcome and they would be successful. Companies that scale are led by people who continually investigate where and how value is being produced in their organizations and innovate ways of communicating educating and rewarding those capabilities. So in this phase, all the hard work that got you here and all your willingness to wear every hat and do it all yourself won’t help you. The way to actually grab that brass ring is to build a business that a monkey could run. Why is this the goal? If you’re going to get to this phase (which is where wealth is starting to happen) you need to know how to delegate, automate, and outsource. You want to build your business such that – well, I say a monkey, but what I really mean is an average person would do well in that position when you automate it and outsource it. An extraordinary person is just going to create immense results for you, but you don’t want to build the job that only a genius can do. This is super important in this phase. As you start building the systems and processes that not just you can run but that Joe can do just fine at and then you bring in Sally and Mark and old cousin Phil… you can continue to replicate those results and each new system and each new hire is a multiplier for your business. Now you’ve become a job creator. As you push out into this outer ring, look how big that pie is looking. That’s real. One of the reasons I’m excited to share about this is it’s not just about let’s generate a lot of money. Most of you are really passionate and mission-driven. And when you start developing a scalable business, guess what your job is as a leader? Your job is to create jobs. You’re creating an economic influx of jobs and opportunity to people all around you. It’s our belief, and one of the reasons that Bryan and I went from corporate America (where we’re coaching some of the top companies into the Fortune 100) to coaching entrepreneurs is because we really feel like entrepreneurs are going to save the world. That more and more it’s not going to be the big businesses that change what our world looks like. It’s going to be the small business owners. That’s when we get excited. You’re going to create jobs. You’re going to actually create a big impact on our economy, so we want to be in support of that and we want to help you do that. This model is one of the things you can use to do that. 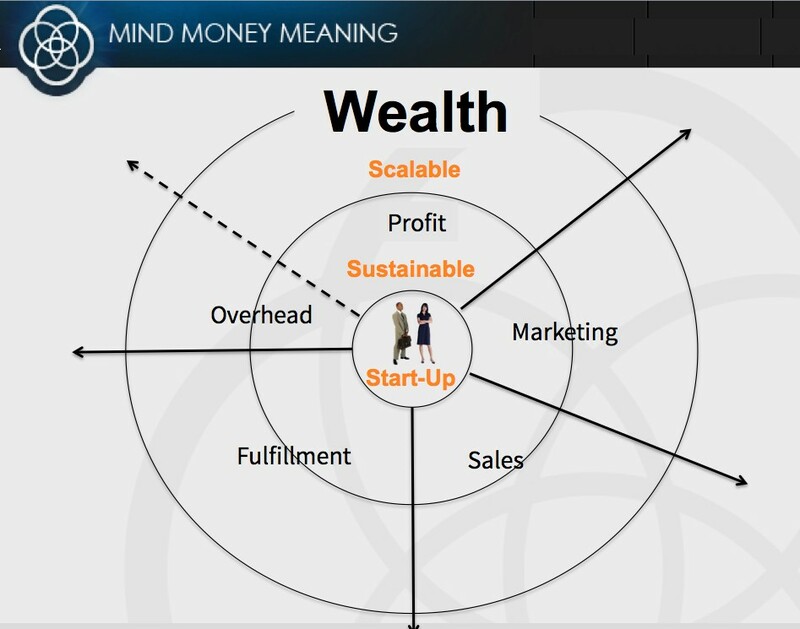 To take this to the next level visit Mind Money Meaning, where Bryan and I will support you step by step as you move closer to that brass ring.